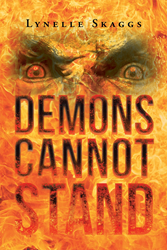 Recent release “Demons Cannot Stand” from Page Publishing author Lynelle Skaggs is both enlightening and entertaining; this work is a page turner that keeps the reader intrigued. Lynelle Skaggs, a mother, Christian, devoted writer and author, has completed her new book “Demons Cannot Stand”: a passionately crafted work that portrays the strength of faith and God. Published by New York City-based Page Publishing, Lynelle Skaggs’s prolific work delves into the ideas of personal identity, faith, fear and courage. Jane was a college student from America. She had a seemingly normal life or so she thought? Then one day while doing research, Jane discovered the country of Bolok and found something that she wanted to change. Her friends warned her to stay out of it, and that it was too dangerous. Jane knew if she did this she would be leaving behind the only world she had ever known. She had to decide if her desire to change the world was bigger than her wishes of staying. Jane knew of the evil in the world for she could see in the spirit realm. She had seen the battles between good and evil. Her mission was to stand up for God and show the world the truth. What she didn't know was that standing up for God could cost her life. Would she be able to overcome this battle? Would she be able to overcome the darkness and succeed, or would the darkness take her into a world she could not escape from? Readers who wish to experience this inspiring work can purchase“Demons Cannot Stand” at bookstores everywhere, or online at the Apple iTunes store, Amazon, Google Play or Barnes and Noble.